What are the Available Options of Bathroom Fans? Ventilation is absolutely integral when you consider a bathroom. Badly ventilated bathrooms are the perfect habitat for mold to grow and fester. Terrible for your health, the mold is the result of poorly circulated humid air that cools after we shower and bath. Having a high-quality bathroom fan can prevent this by circulating and exchanging the air in your bathroom. This prevents the humidity settling and keeps the room fresh. But how do you choose? Take a look over this guide to understand where to get started when deciding for a bathroom fan. There are four main types of bathroom fans available on the market. Depending on your needs and space, you can choose between in line, ceiling-mounted, wall-mounted, or combination fans. Known for their quieter performance, in line fans are mounted between the ducting. Not mounted on to a wall, they are more space-saving than ceiling fans. 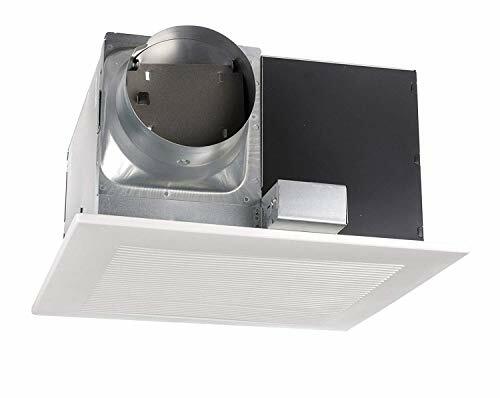 Mounted directly into the ceiling, these fans are a popular choice among consumers. Most expel air out the roof, while some connect to the ducting and expel air out through an external vent. This fan is designed to be mounted on to an outside wall. Air is expelled directly out through the wall, neutralizing the need for ductwork. These fans are popular due to their simple installation. Combination fans have many HVAC features. 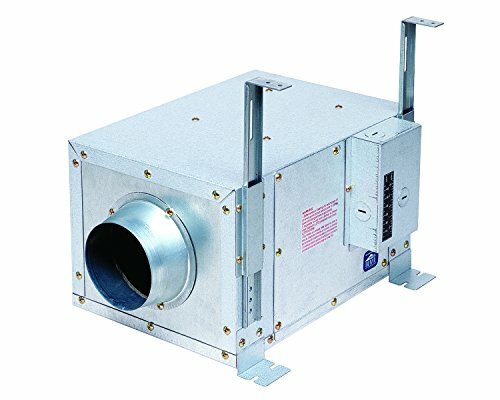 They can come with functions for heating and lighting, as well as different air extraction techniques. You’ll find a variety of aesthetics to suit your home decor. In the search for a bathroom fan, understanding what you’re looking for will make the quest a whole lot easier. Here are a few details to keep an eye out for. Imagine trying to relax in a steamy lavender bubble bath, with a constant whirring buzzing through your brain. The sound level matters so try to look out for sones. While many people think they need to look for decibel levels, sones are the subjective measurement used to categorize sound level. The average very quiet fan is around 0.3 sones, while a loud fan is around 4.0 sones. You need to make sure that your fan can cope with the bathroom’s ventilation needs. If the room isn’t well ventilated, you may end up with damp and mold. While quieter fans can give you a more relaxing experience, they may not be able to handle the amount of ventilation needed for your bathroom. The power of a bathroom fan is measured in cubic feet per minute (cfm). This shows how much of the air will be pulled out of the room by the exhaust in every given minute. Any room, no matter how small, needs at least 50 cfm to cope with its ventilation needs. Above that, you need to add 1 cfm per square foot of area. Consider a 5 x 5-foot bathroom is 25 square feet of area. 25 cfm plus an extra 50 cfm means the room needs a 75 cfm bathroom fan. You need to think about where you want to put it and the restrictions you may have. This will help you understand the type of bathroom fan to choose. If you have an external wall, a wall-mounted fan will mean you don’t need as much ductwork installation. Equally, limited space may suggest you can’t have a ceiling fan. Many people choose to opt for models with lighting combined with design. The fan automatically activates as the light is switched on. It is a good option to keep the room highly ventilated, but can sometimes use more power than is needed, as you cannot use the fan without the light. Energy efficient fans not only help the planet, but they also save energy cutting back on utility bills. Look for the Energy Star seal as this showcases the fans that can save as much as 70% on energy usage. Taking into account sound emission, energy consumption, power, and performance, the seal represents one of the most efficient models on the market. Your thoughts about cost need to cover not only the upfront price but also the running costs of the fan. Energy efficient models with the Energy Star seal may be more expensive, to begin with. But you’ll find that you save a great deal of money on your bills as they use less power. 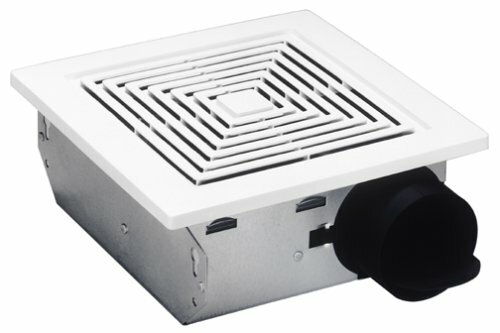 Bathroom fans help to provide ventilation in the bathroom by circulating the air. When we take baths and showers, the warm air can cling to the room. If windows and doors are shut, the air has nowhere to move. The water vapor condenses as the air cools, forming water droplets on the walls, surfaces, and fabrics in the bathroom. These damp conditions are the ideal environment for mold to develop. Mold that forms in bathrooms is often bad for your health - black mold in particular. These types of mold cause respiratory problems and can have very negative effects on your bones. Molds in bathrooms can also cause and spread fungal infections such as Athlete’s Foot. Installing a bathroom fan helps to push and pull the air through the room. By sucking the air out of the bathroom, it creates a vacuum for new fresh air to exchange back into the room. This circulating action prevents water from settling, dramatically reducing the likelihood of mold. Searching for a bathroom fan can leave you wading through a whole jungle of bathroom fan designs and brands. Here are a few of the top picks of bathroom fans available currently, and a breakdown of why they hit the Bull’s Eye. This ceiling mount fan has a speed selector for versatile airflow. The Flex-Z Fast bracket makes it easy to install. They are designed to fit anywhere that’s needed, even down to 2x6 constructions. It comes with duct adapters and a detachable installation adapter. It is an energy efficient fan, complying with Energy Star-level regulations. The Pick-A-Flow Speed Selector enables you to choose between 80 or 110 CFM for variable power. This model is designed to be flexible, fitting into any location. The detachable installation adapter also increases flexibility. This model is louder than expected. Sometimes this fan lets dust into the room. A versatile design, this fan fits into most bathrooms and provides variable air flow. It can be a little noisy, but it can help save on energy bills. Designed for super quiet performance, this ceiling fan operates at 0.8 sones. It can vent up to 90 square feet of space, and it is Energy Star approved. This fan is energy efficient, boasting the Energy Star Seal. This option is excellent value for money due to its high power. A great option for relaxing, this fan is very quiet when in operation. It comes with a one-year warranty, which also includes technical support. Installation on this model can be a little tricky. Some customers have complained that this fan rattles a little. Designed for silence, this model is very quiet, although perhaps not as quiet as advertised. It is energy efficient but can be a little hard to install. It comes with technical support to help though, and good customer service. For both ceiling and wall mounting, this fan is easy to install. It is compact and fits between ceiling joists and wall braces. This model is for smaller bathrooms, with a capacity of 50 cfm. This is a great budget model for smaller bathrooms. It is easy-to-install, meaning no extra installation costs from professionals. It has a versatile installation and can be mounted on both the walls or the ceiling. It is not designed to cope with larger rooms. This model is on the louder end of the spectrum. For smaller bathrooms, this budget model is an easy, quick fix to humidity problems. It can be mounted on the ceiling of the wall. This in-line fan is designed to be placed anywhere. It has a blower wheel to draw air and can be installed in five different positions. It can handle 240 cfm and helps to filter pollutants. It is impeccably quiet to run. It filters the air as well as moving it around. It is Energy Star Qualified making it energy efficient and cheaper to run. 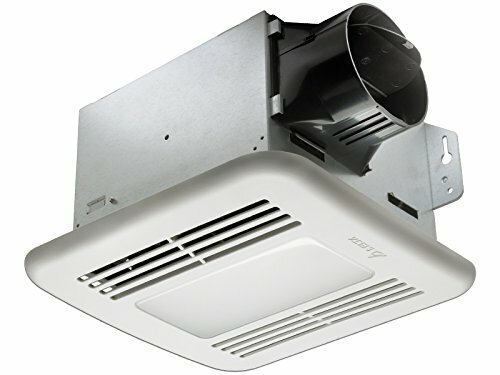 This one fan can vent multiple areas or rooms as well as large bathrooms. This model is higher in price. It is not designed for smaller rooms and will run inefficiently in them. It is a fan for larger spaces and for ventilating many spaces at once. Energy efficient and very quiet, it is a fan of great value. This ceiling bathroom fan combines a LED light into its technology. It boasts the Energy Star seal due to its brushless DC motor. It operates at 1.5 sones and has 100 cfm of power. This model is very quiet, working at 1.5 sones. The LED light has a very long lifespan, lasting 30,000 hours. The tech installed in motor allows it to run at 7.3CFM/watt, making this fan very energy efficient. It a little more complicated to install. It is a little more pricey upfront than other models. 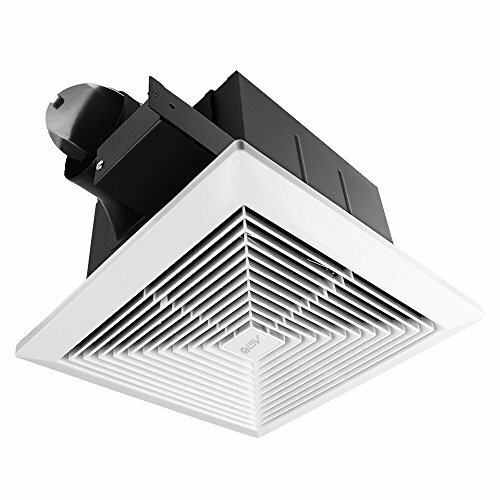 Slightly pricier and a little more complex to install, this model offers both light and ventilation. Working quietly and efficiently, its quality parts make it highly durable, increasing its longevity. If you’re looking for a bathroom fan, firstly you need to know your needs. Are you looking at budget options for smaller bathroom space, or are you trying to run an energy efficient air filter for a large selection of rooms? This will help you narrow down your search for a bathroom fan. Remember to consider where you want to install it and the size of the room you have available.